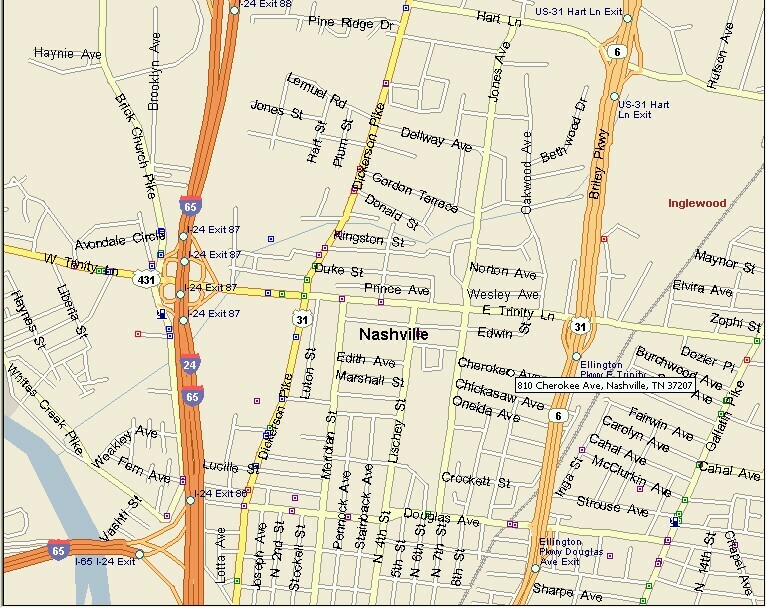 take exit 87 Trinity Lane off I-65 go east (coming south 65 go left - coming north 65 go right) go to the third light take a Right on Jones Ave, go two blocks to Cherokee Ave, turn left. (the sign for Cherokee is on the right) go half a block down to the first warehouse on the right (says Midsouth on the front). turn right between the warehouses go to the back for the dirt track door is in the back.